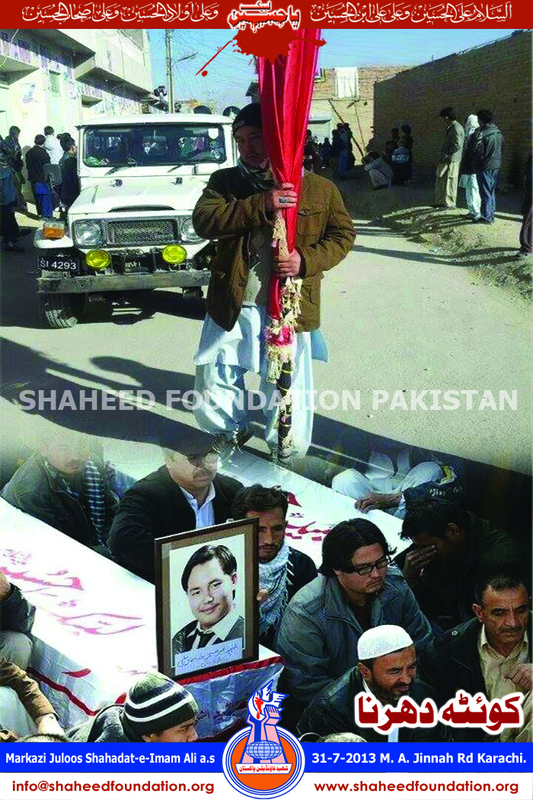 Quetta : Sit in Enters Fifteenth Consecutive Hour as mercury touches minus two on Celsius Scale. 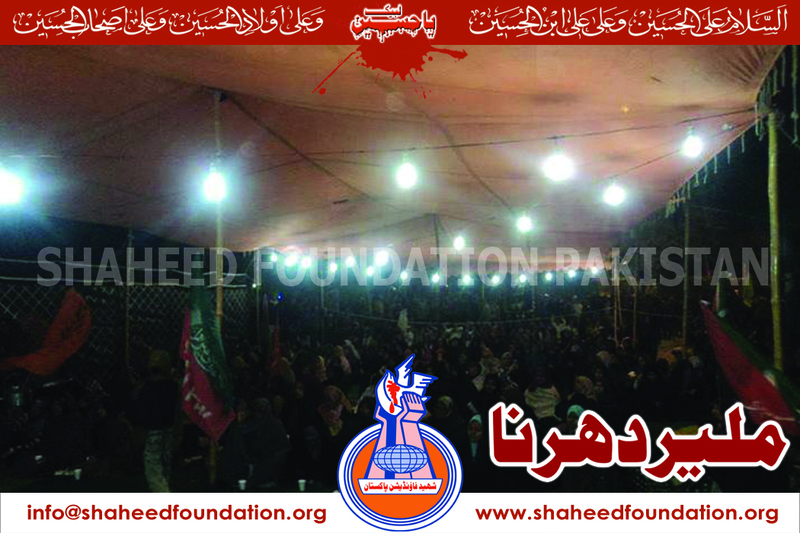 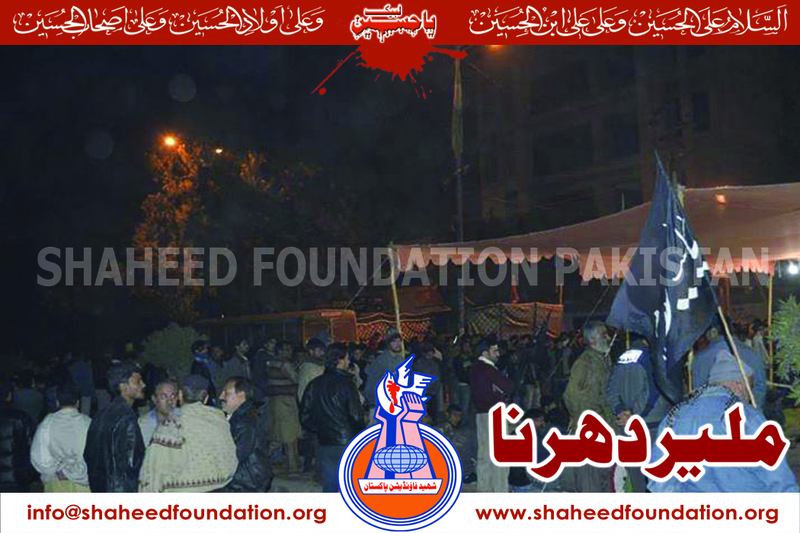 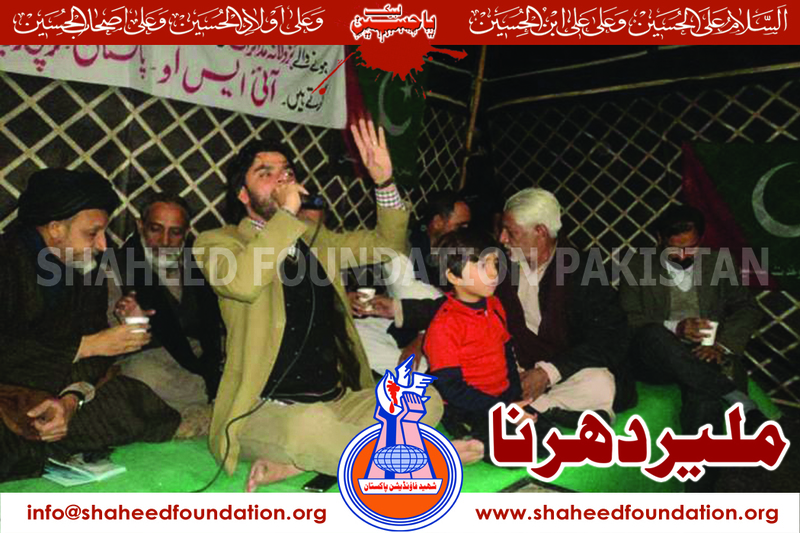 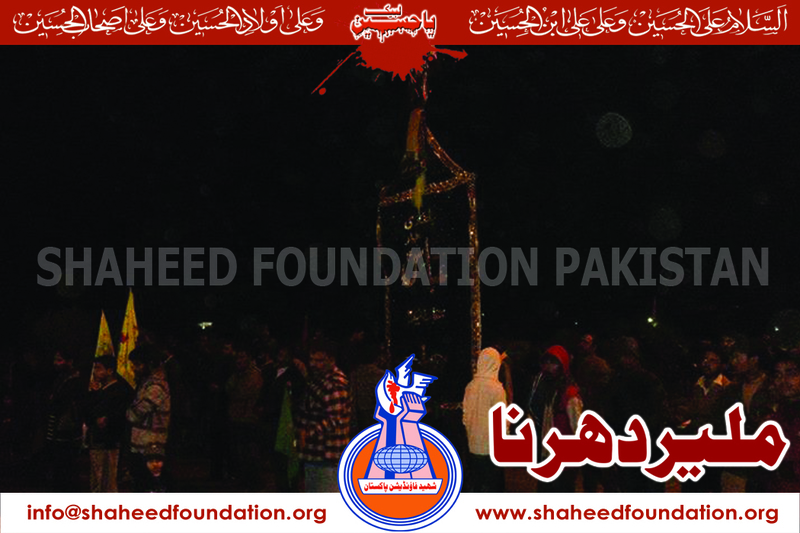 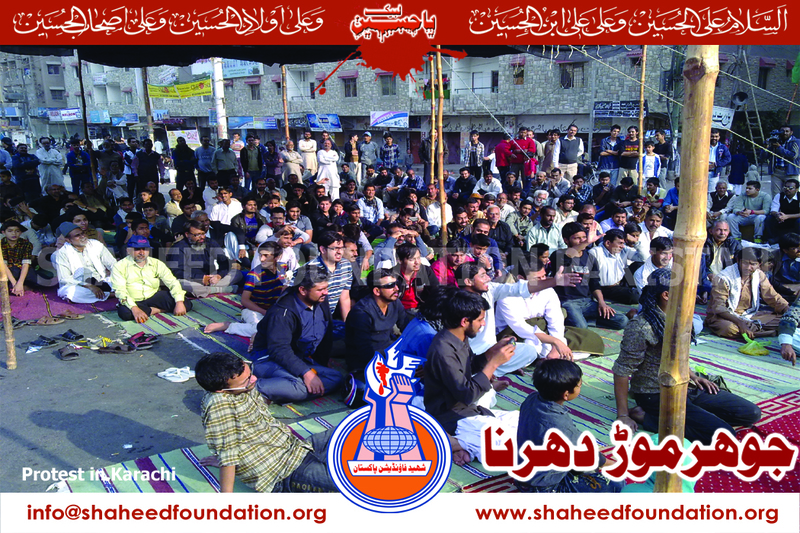 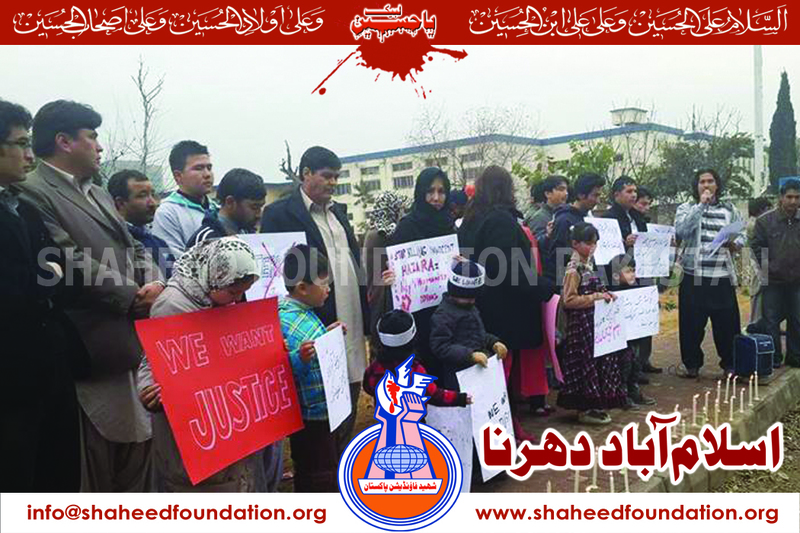 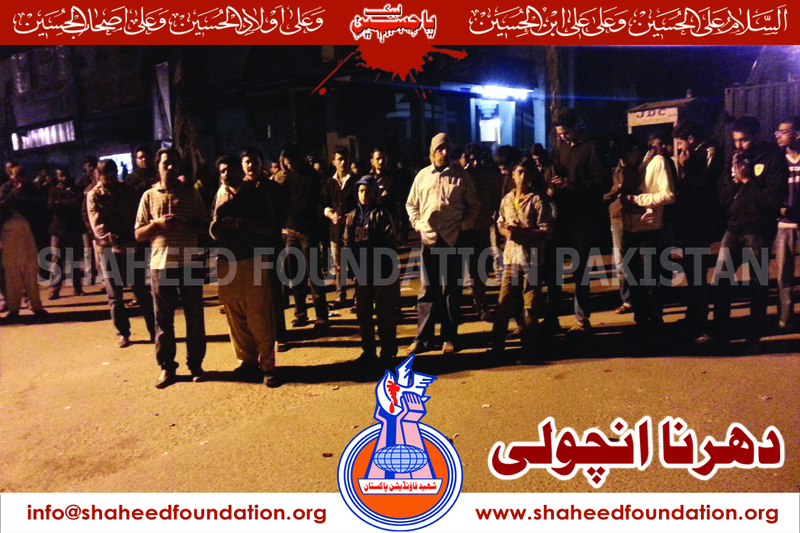 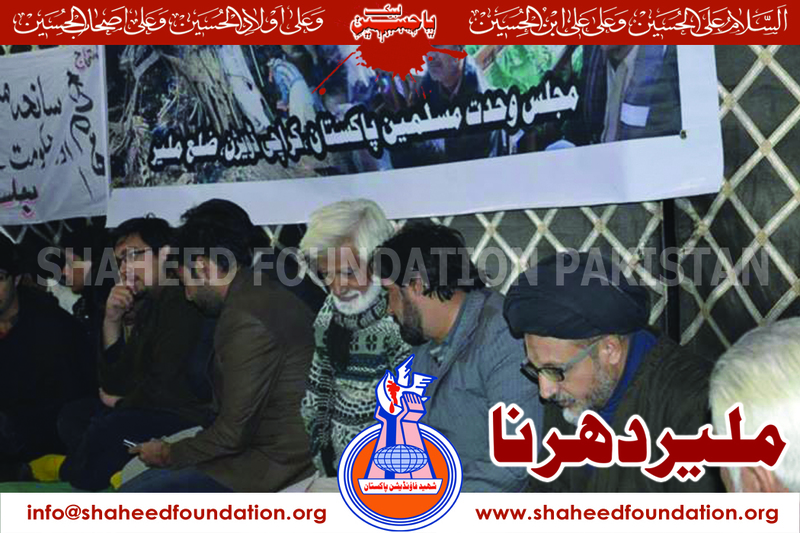 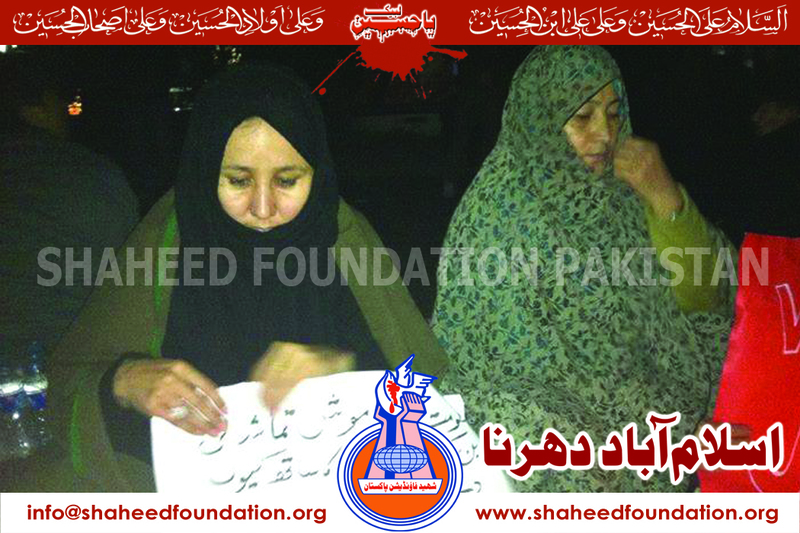 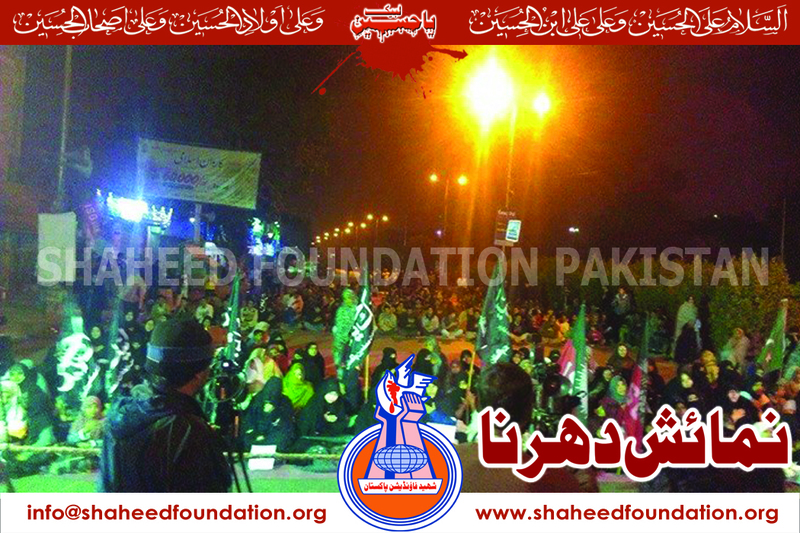 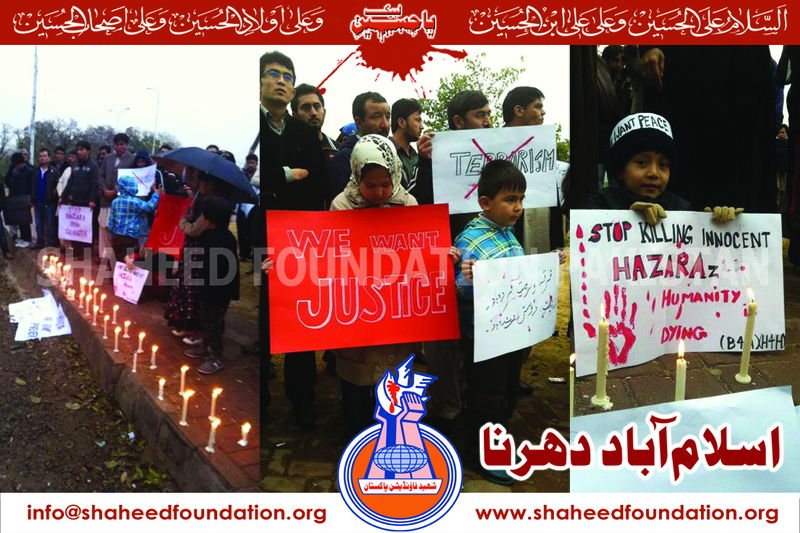 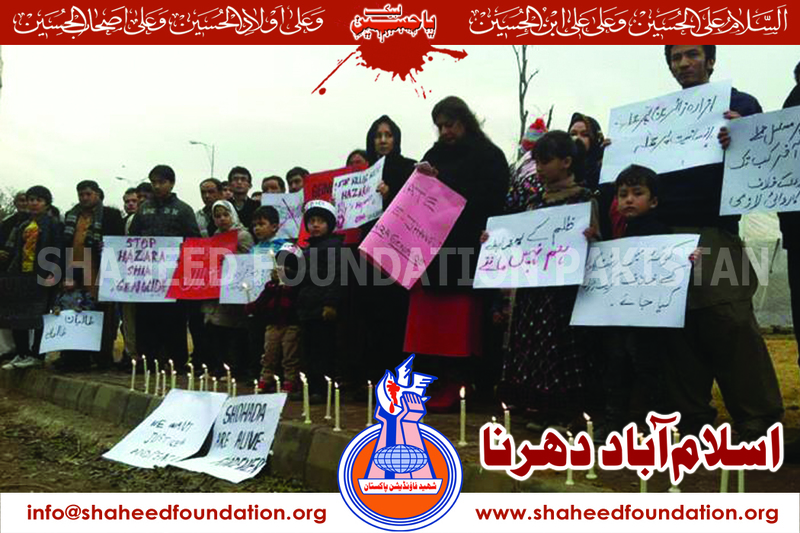 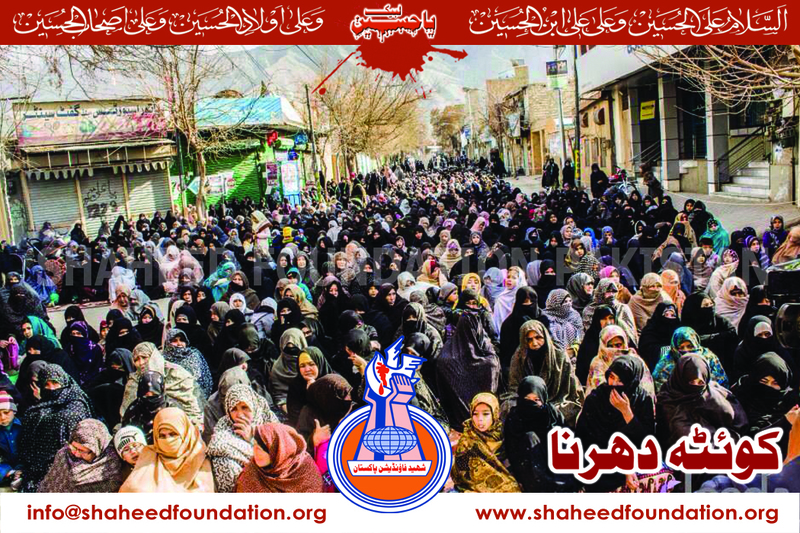 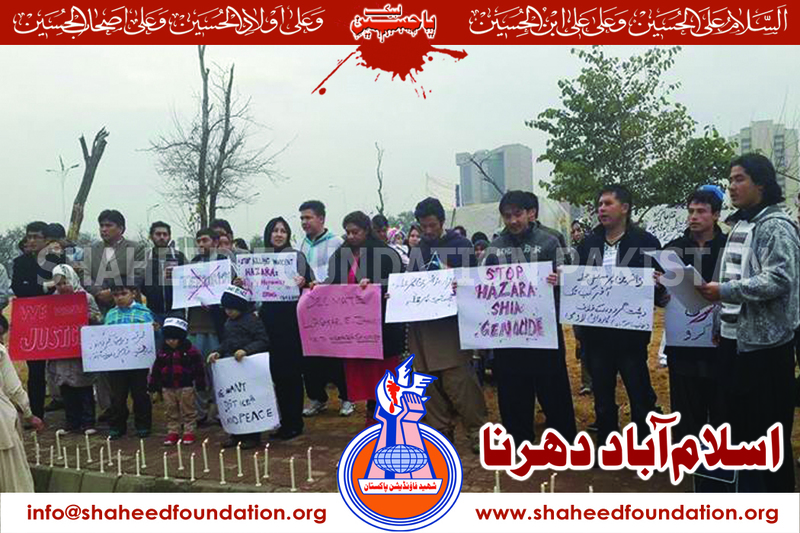 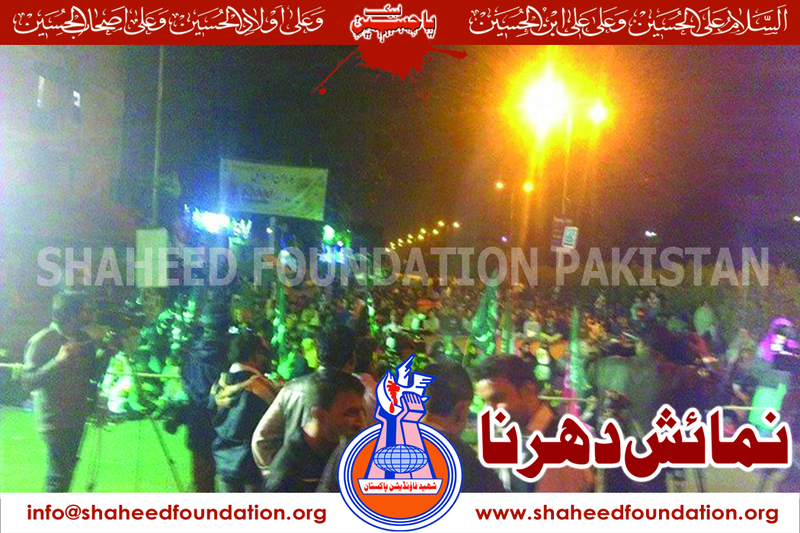 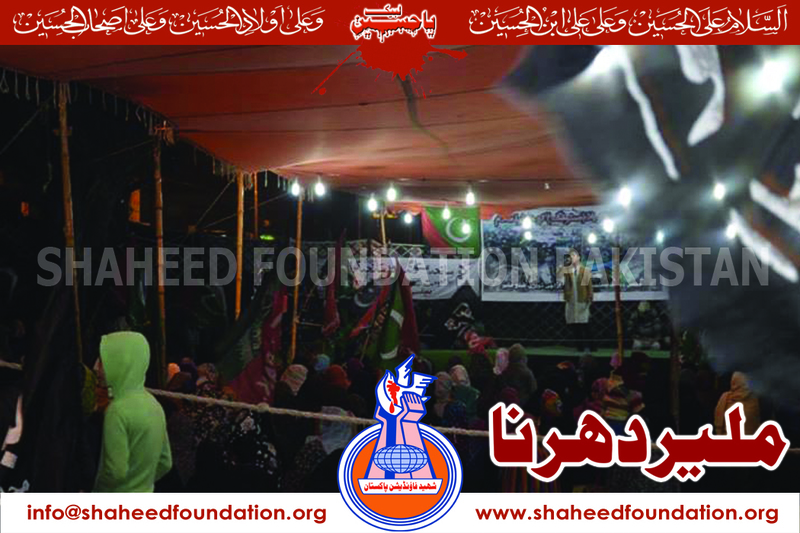 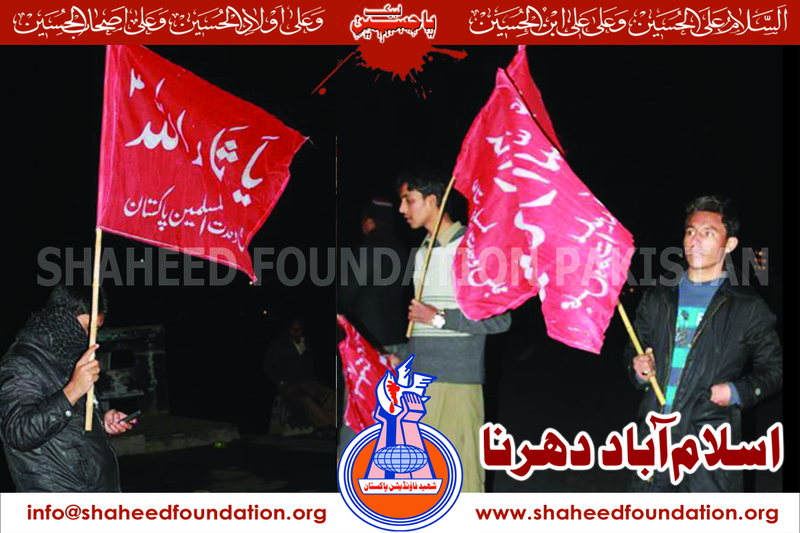 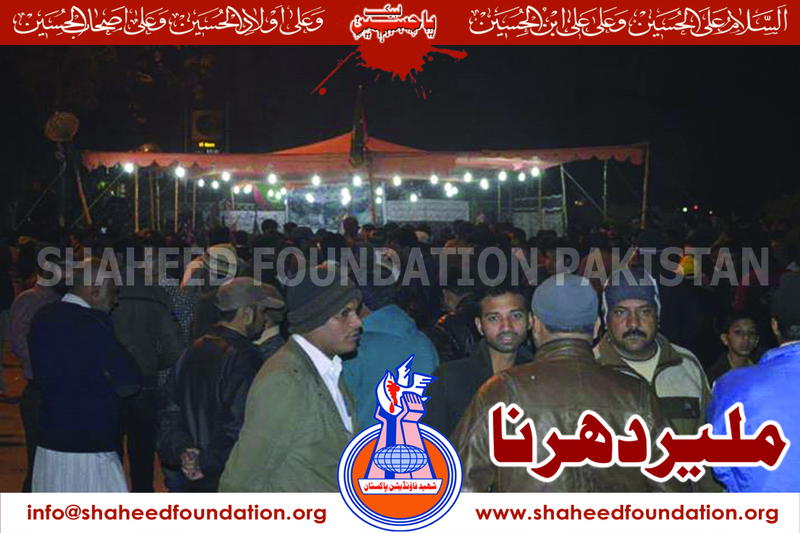 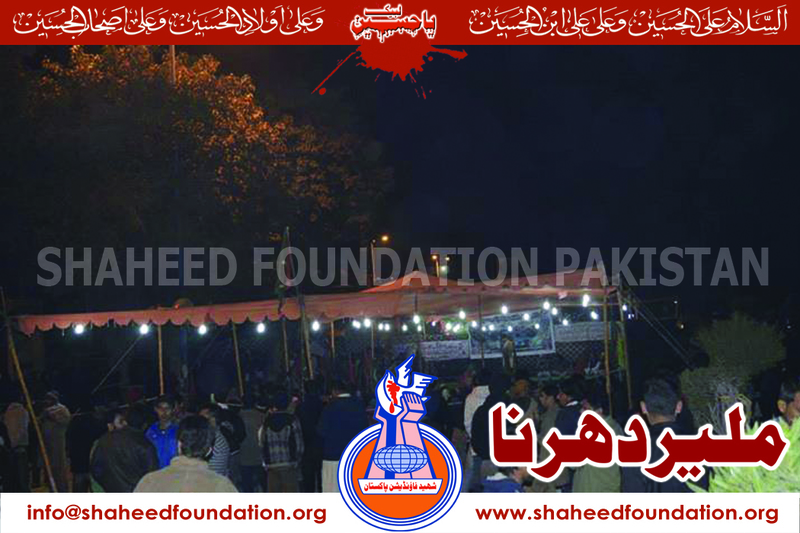 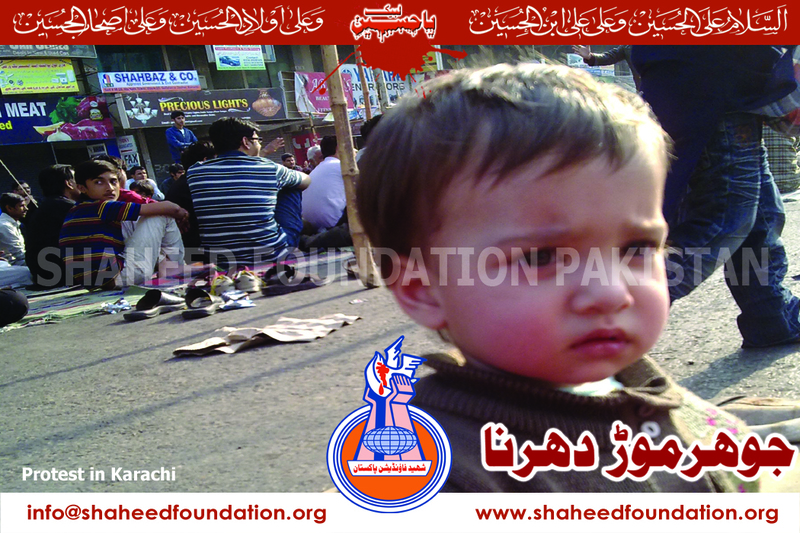 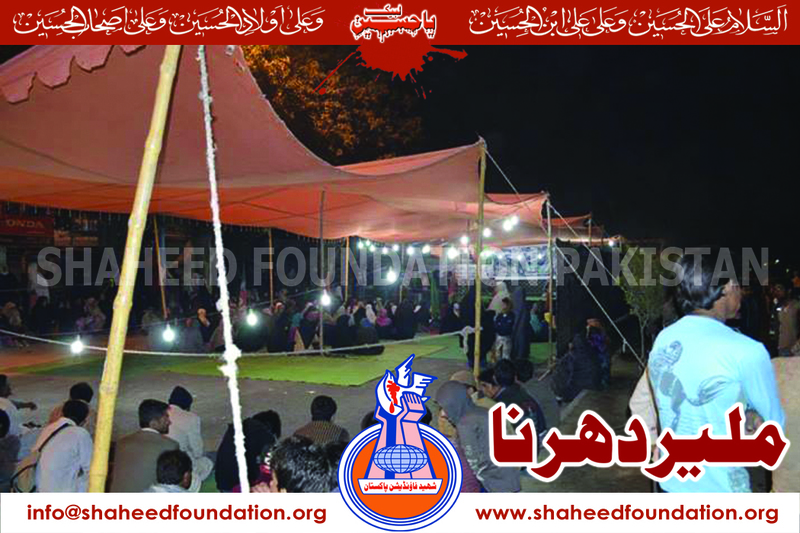 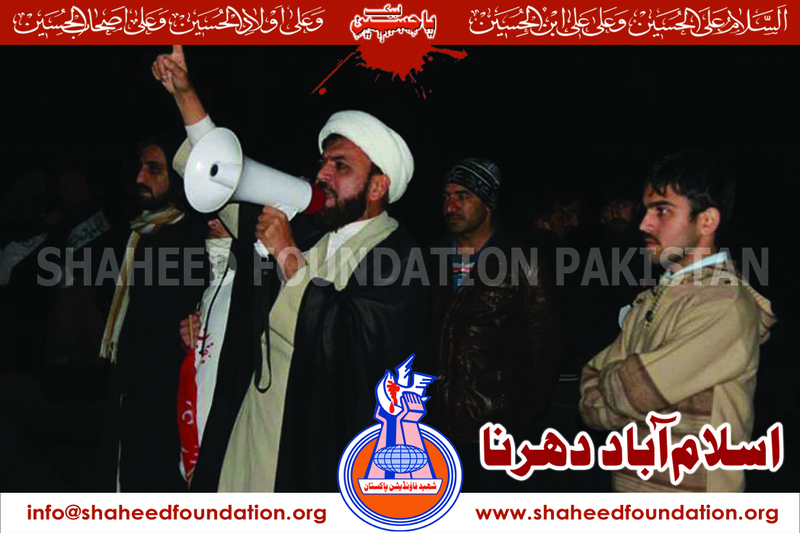 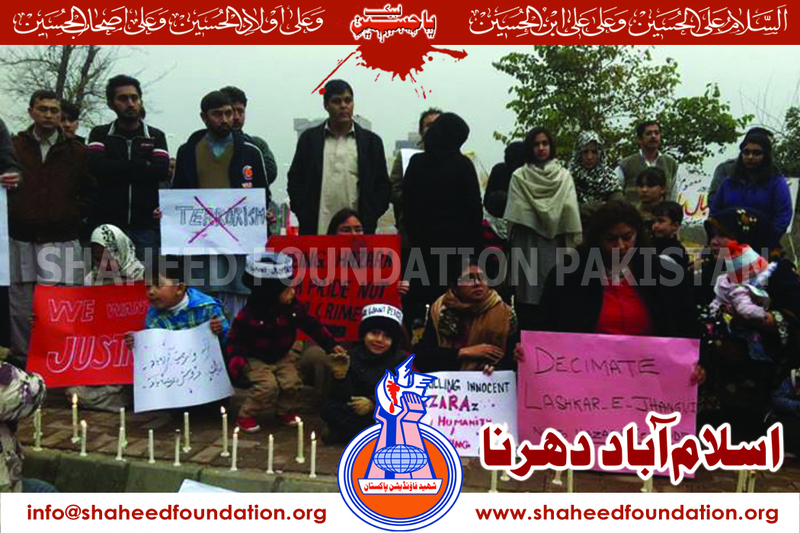 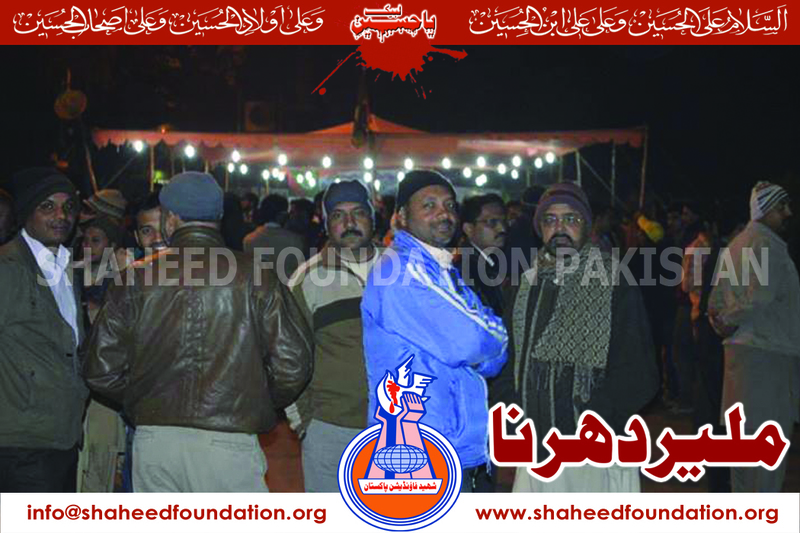 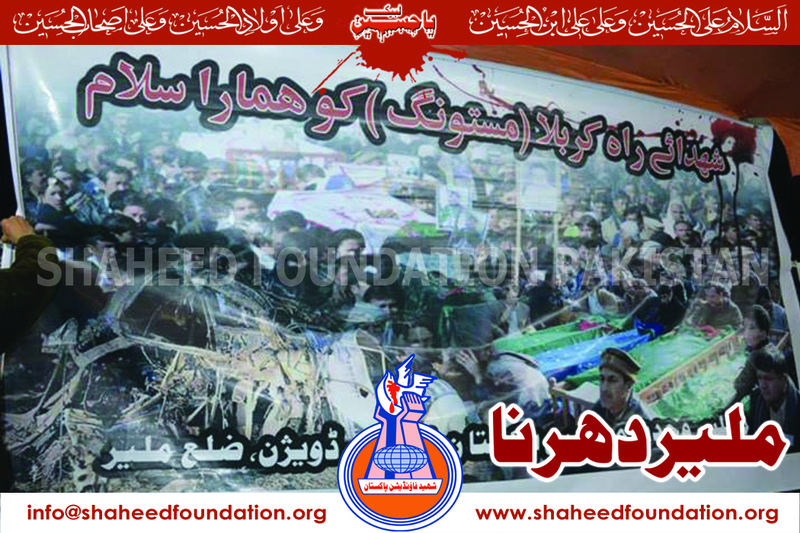 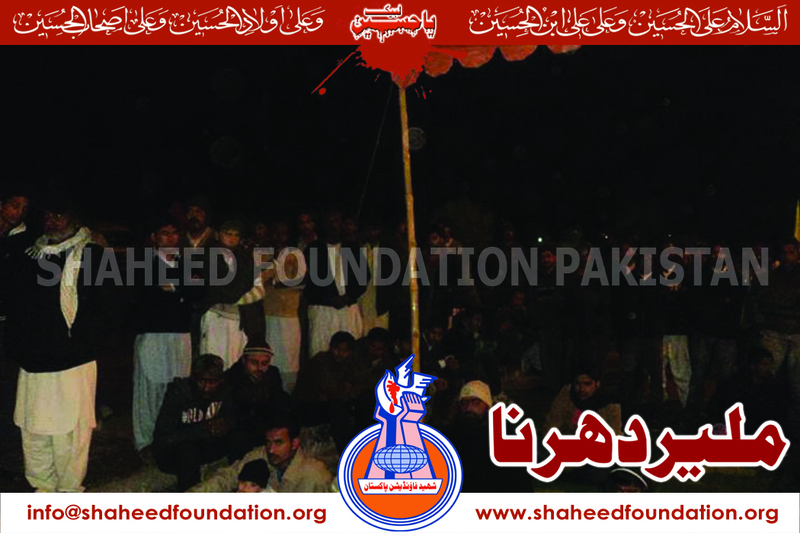 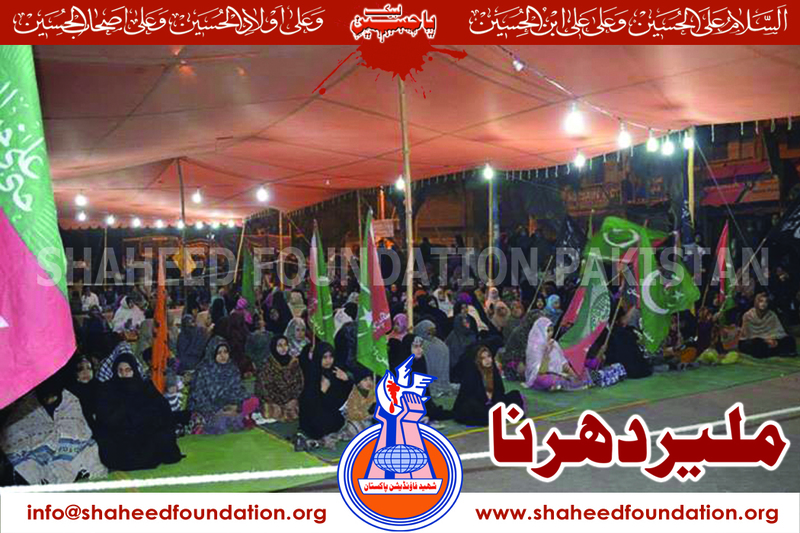 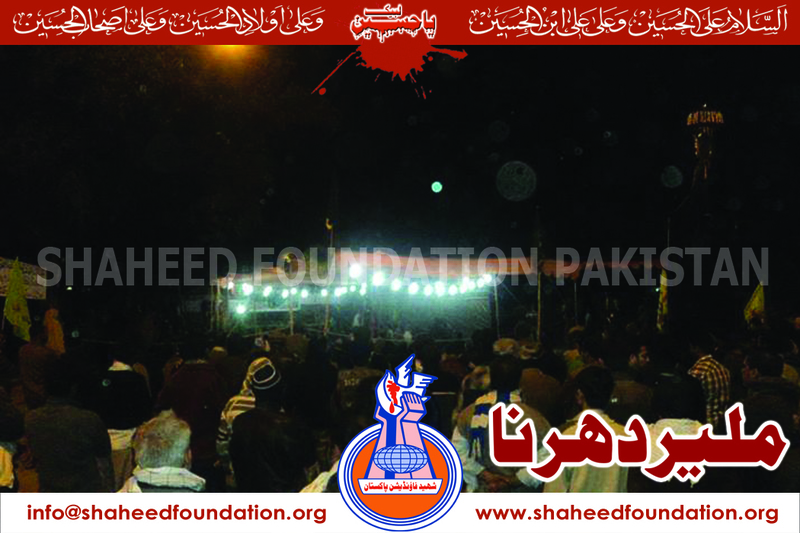 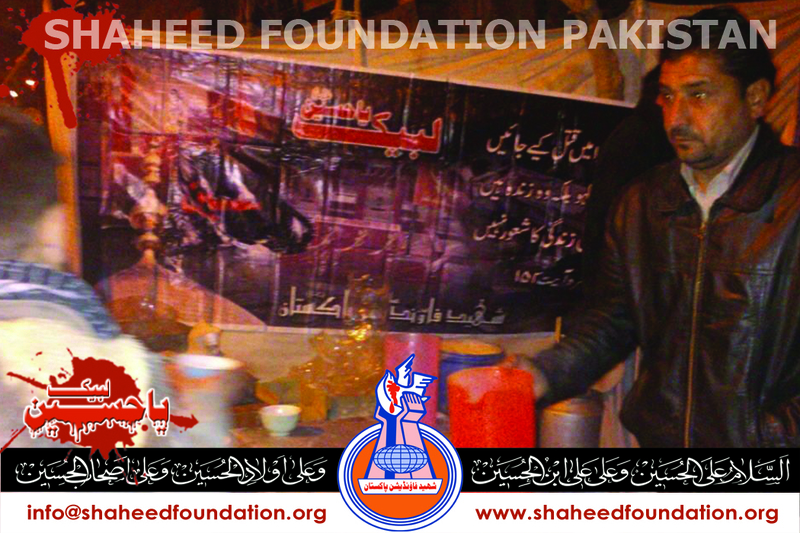 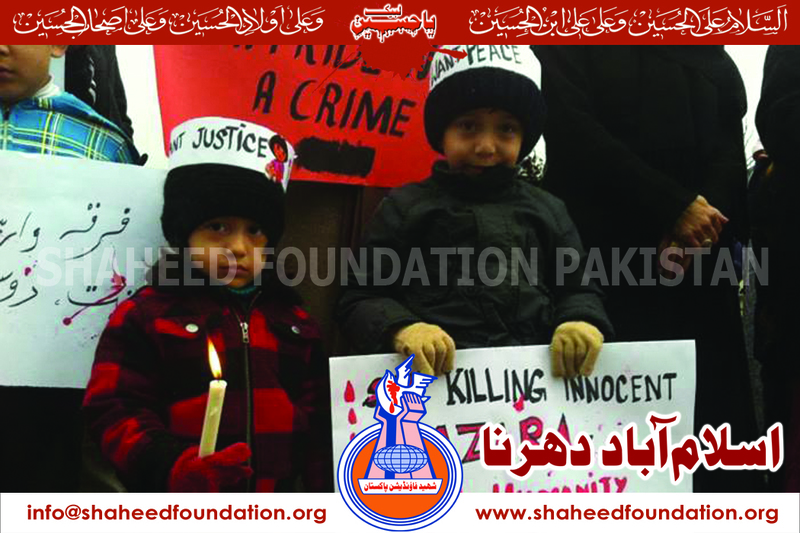 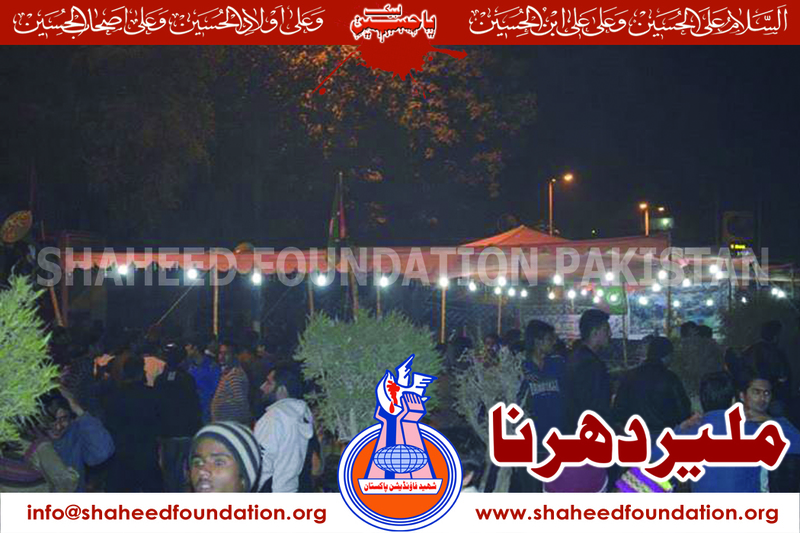 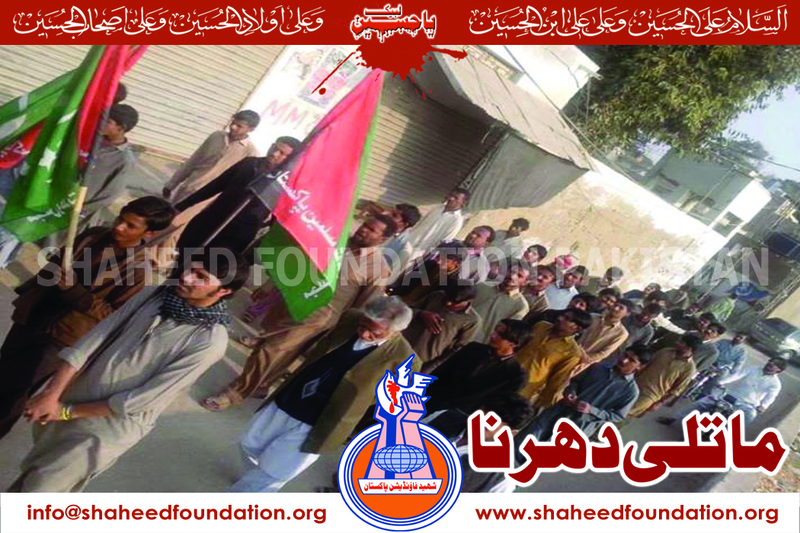 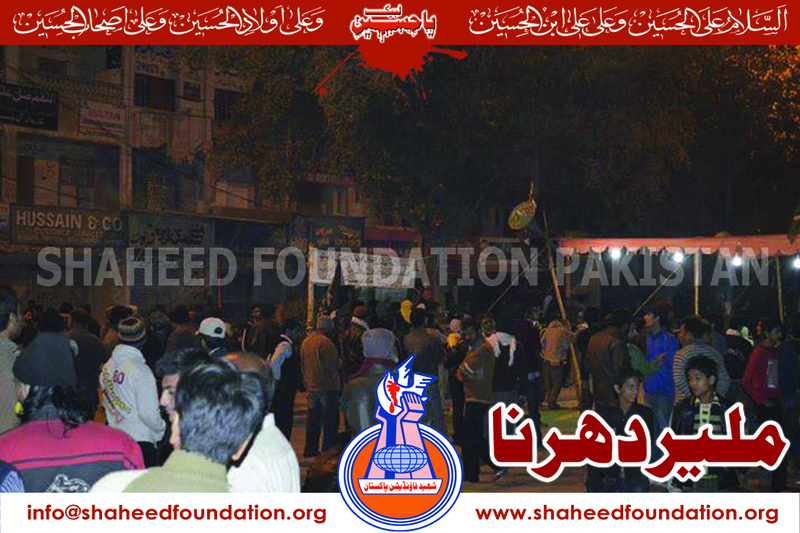 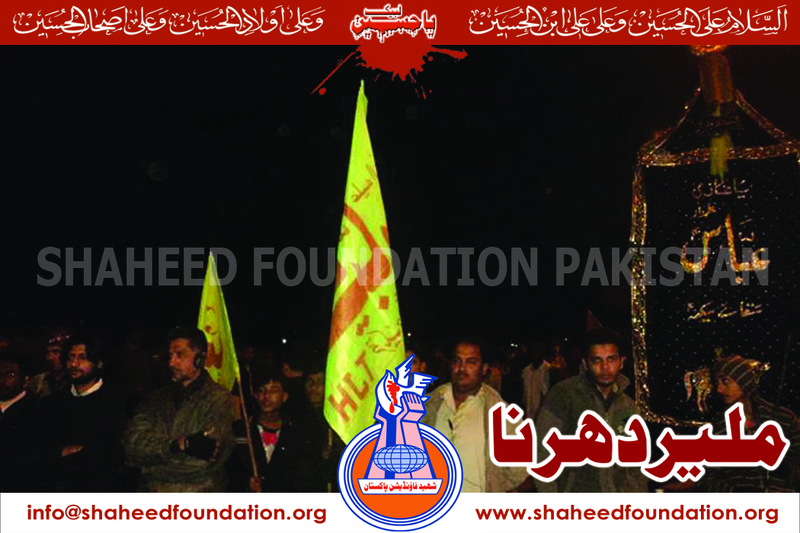 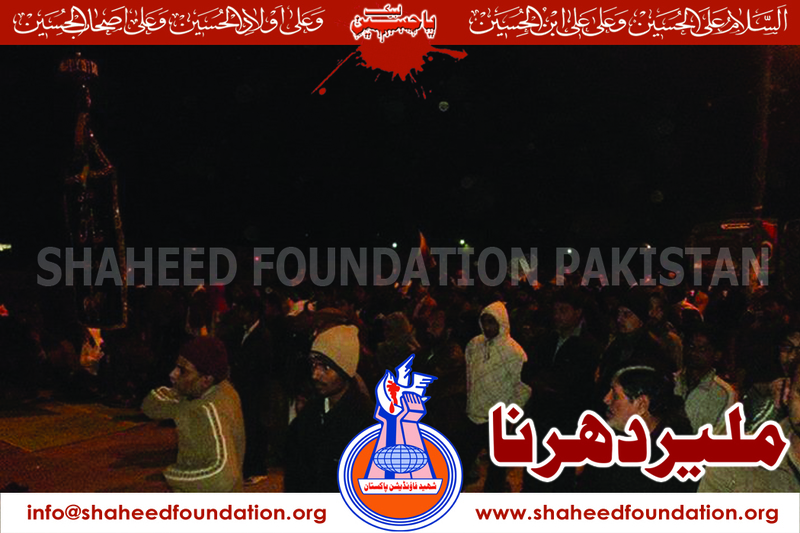 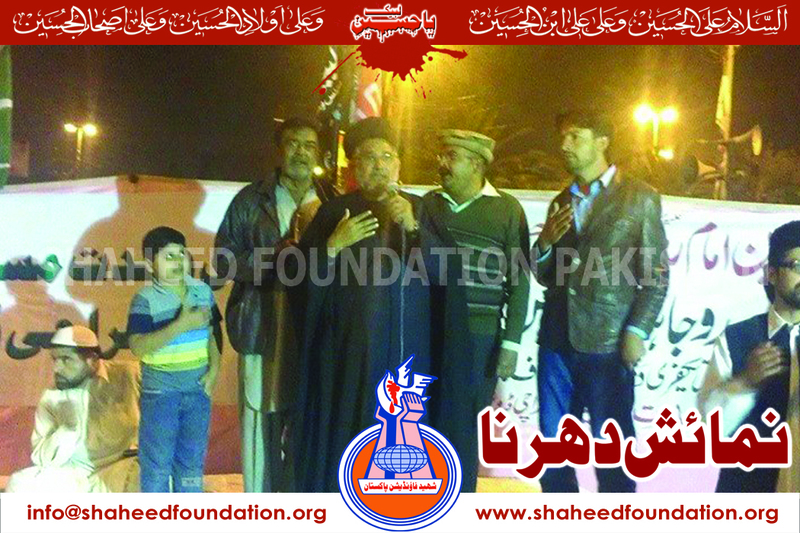 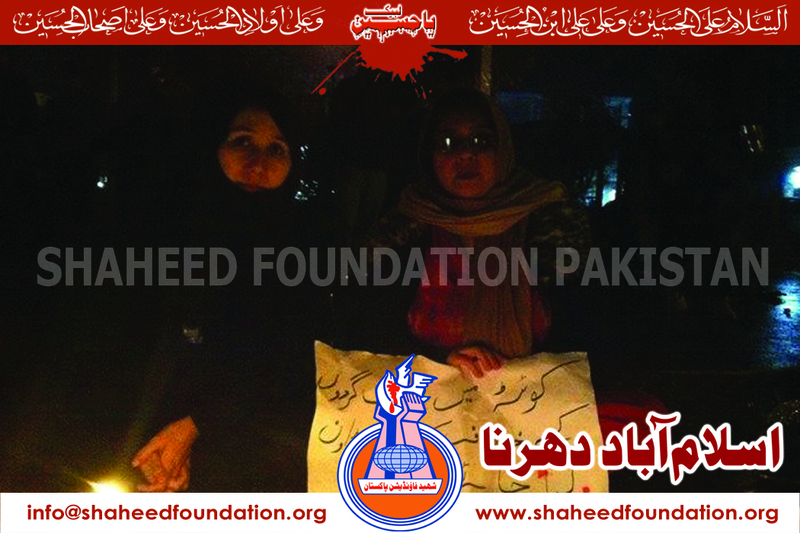 Shaheed Foundation Pakistan Quetta working members arranged sabeel at Shuhda Chowk, Alamdar Road, Quetta. 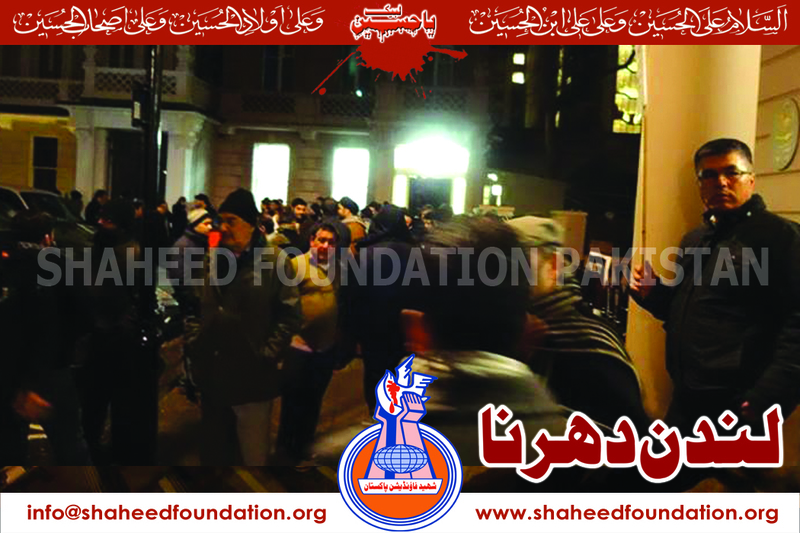 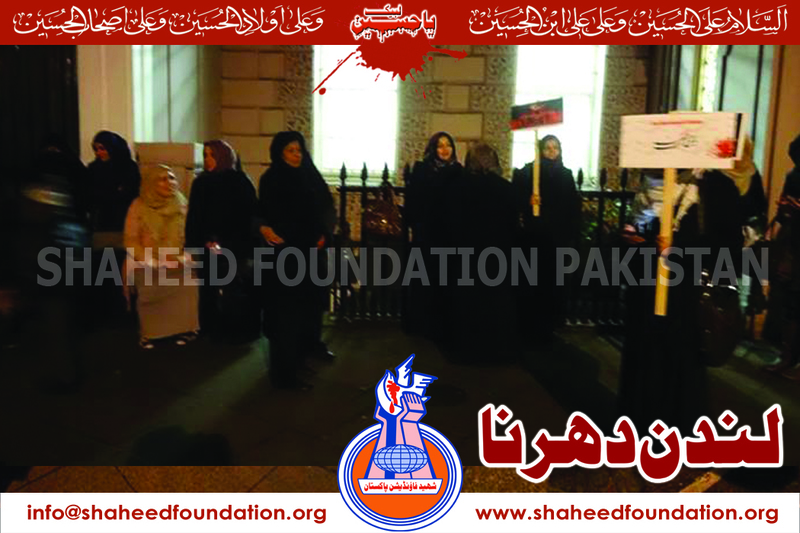 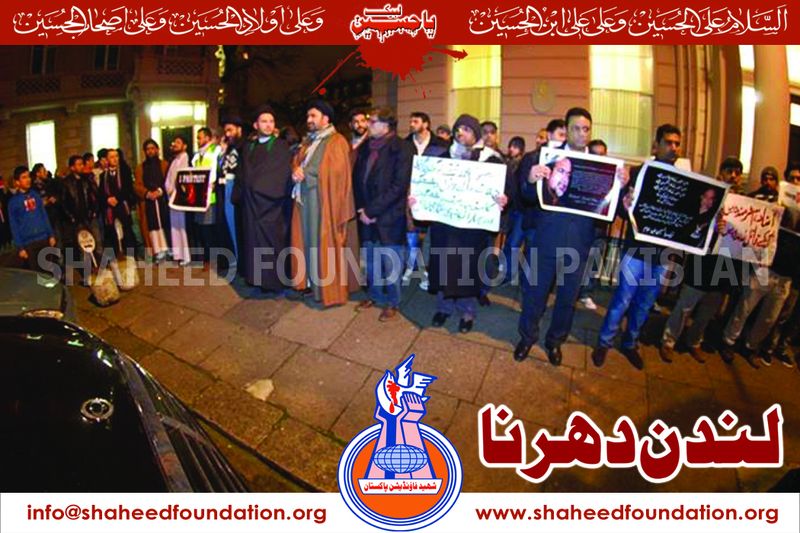 In London ,protest sit in is being staged next to Pakistan's high commission on the initiative of expatriate Pakistanis. 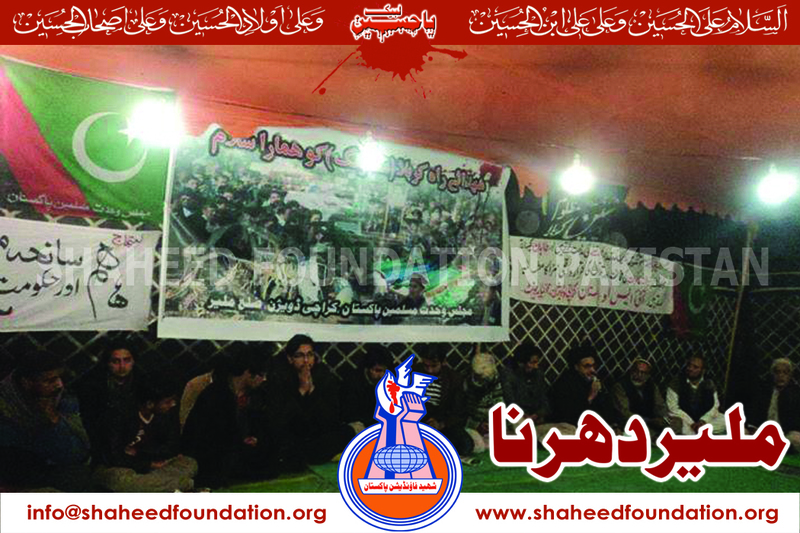 Karachi : Sit in is being Staged at Nomayesh Chowrangi. 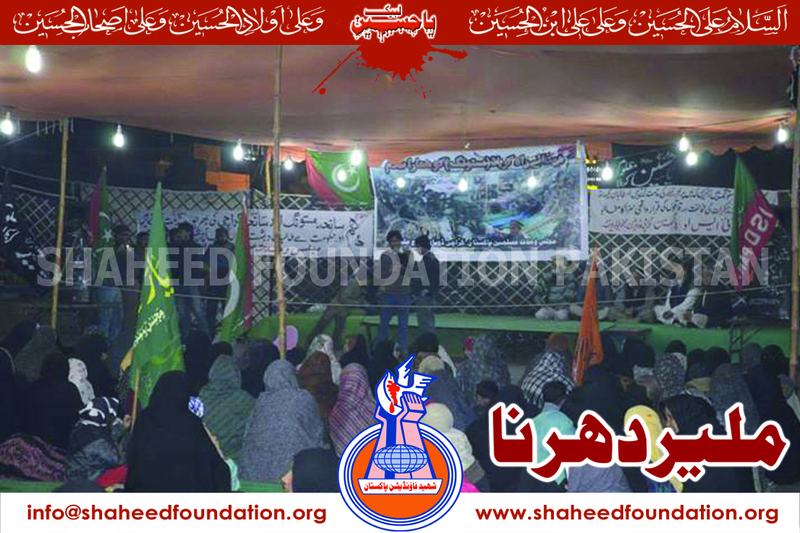 Karachi : Sit in is being Staged at Shahrah-e-Pakistan near Ancholi . 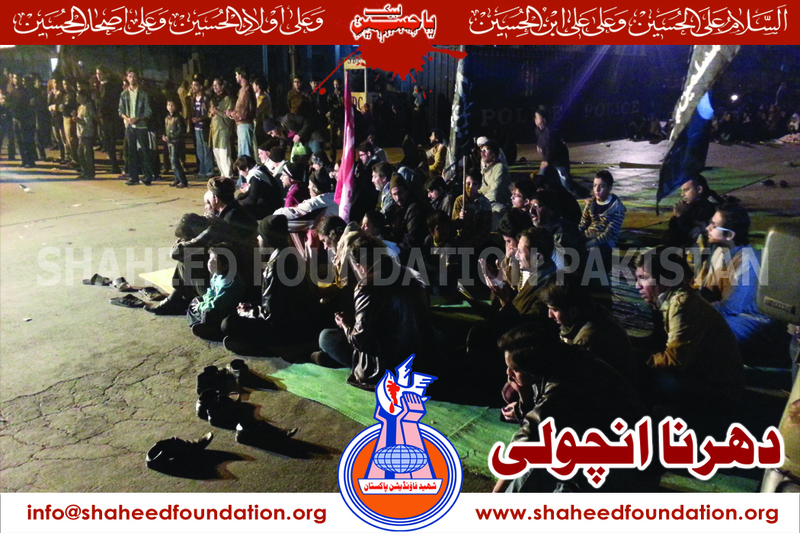 Karachi : Sit in is being Staged at University Road. 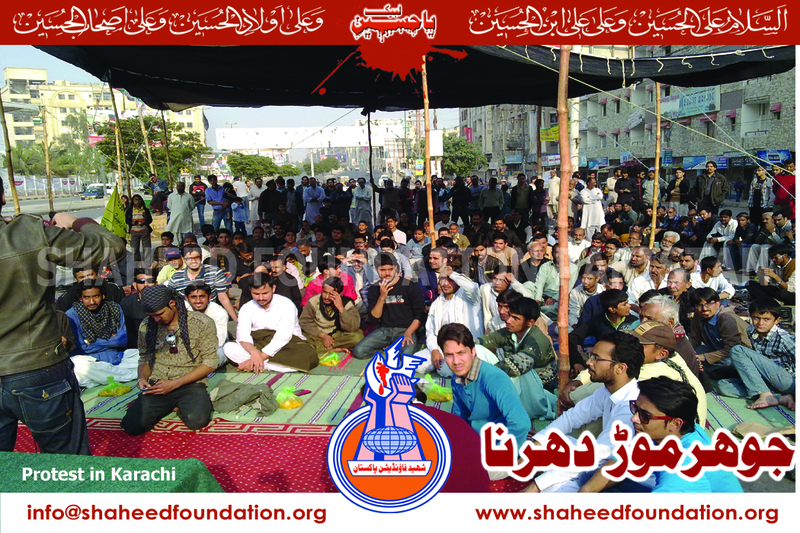 Karachi : Sit in is being Staged at Johar More. 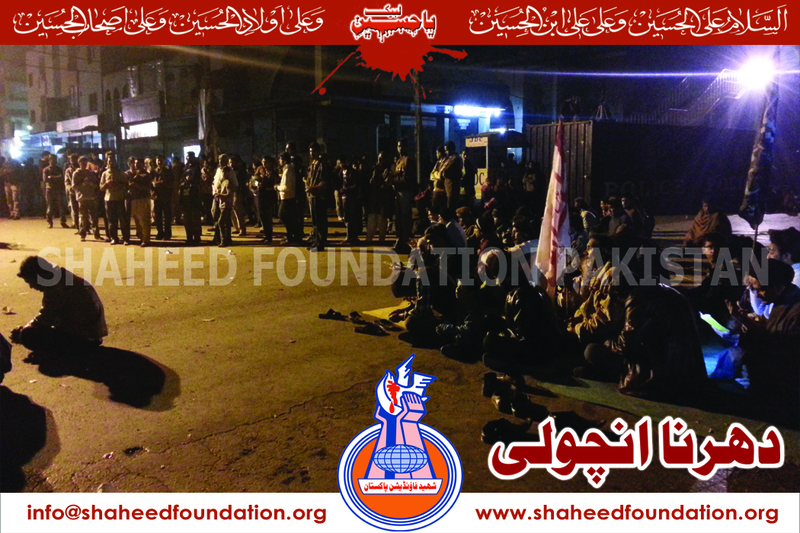 Karachi : Sit in is being Staged near Mohammadi Dera Malir on National Highway. 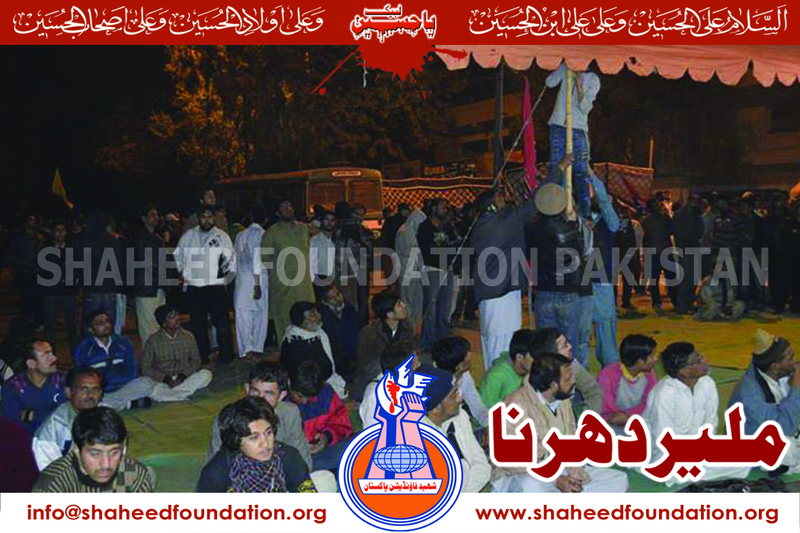 Karachi : Sit in is being Staged on Multiple Places at Shahrah-e-Faisal Star Gate ,Natha Khan Bridge and Colony Gate. 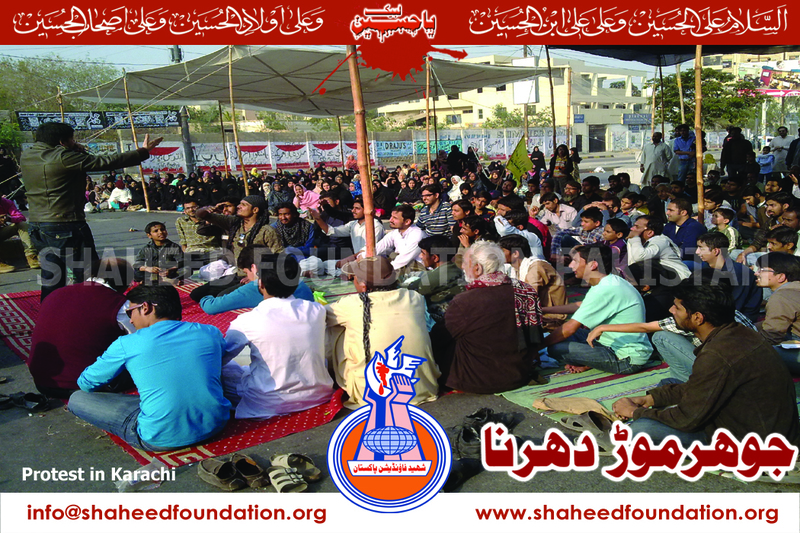 Karachi : Sit in is being Staged near NIPA Chowrangi. 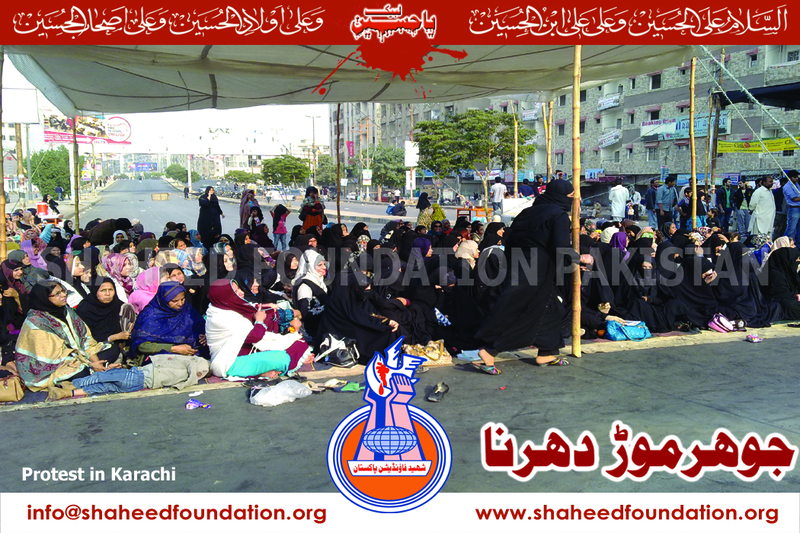 Karachi : Sit in is being staged near Teen Talwar Chowrangi. 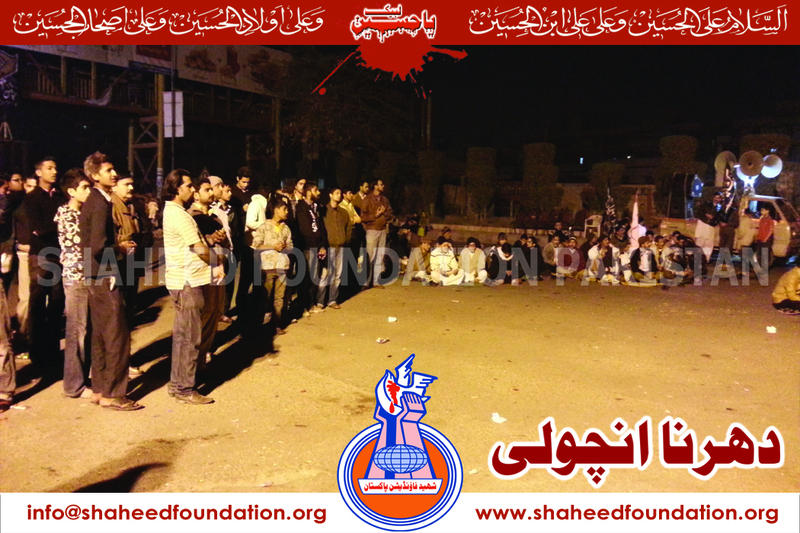 Karachi : Sit in is being staged near Natha Khan on Shahrah-e-Faisal. 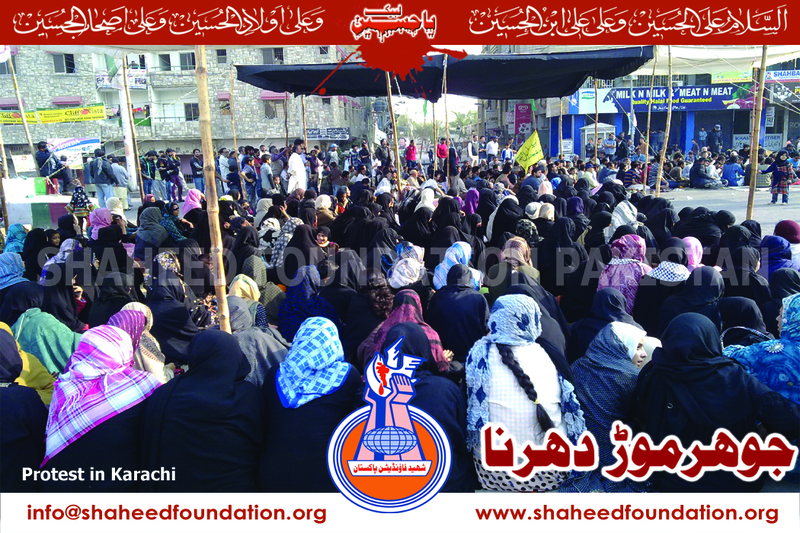 Karachi : Sit in is Being Staged on Abul Hasan Isfahani Road. 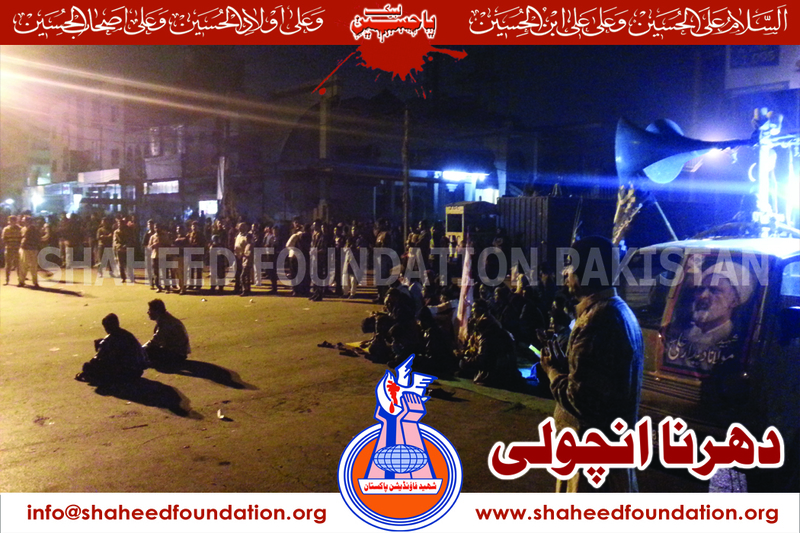 Lahore : Sit in Continues near Governor House. 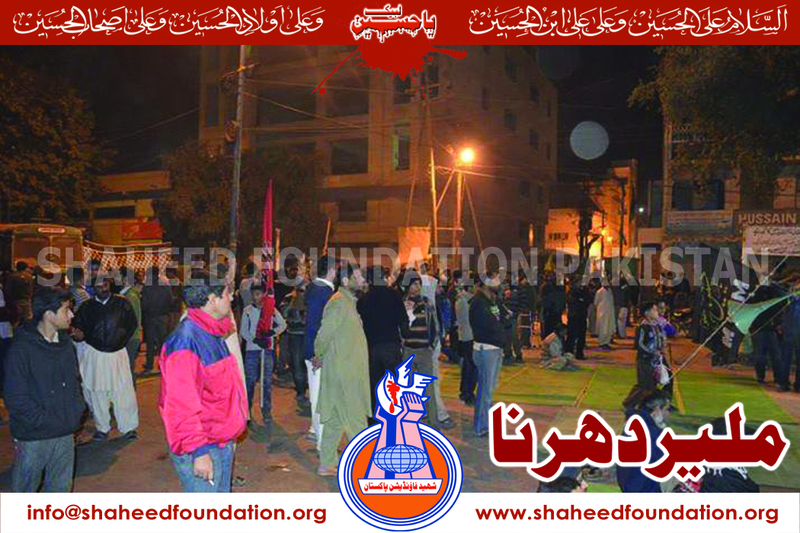 Multan : Sit in Continues on Nawan Shehr Chowk Multan. 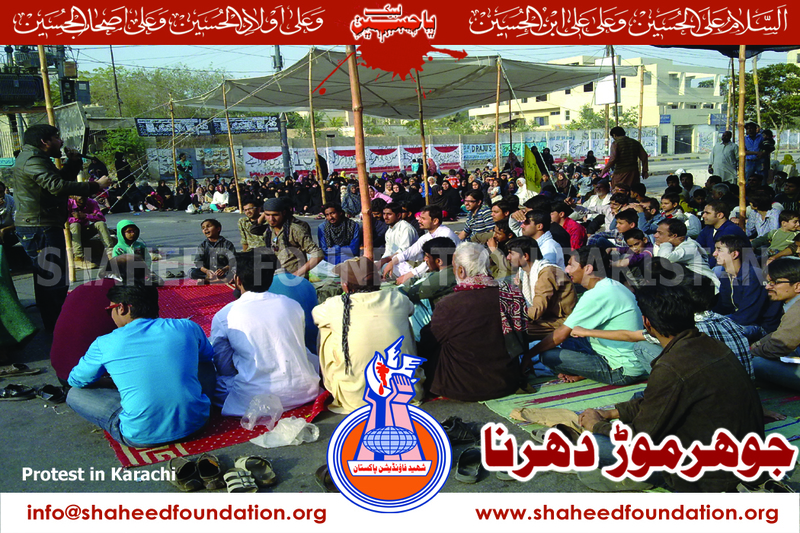 Matli: Sit in Continues in Matli, Sindh. 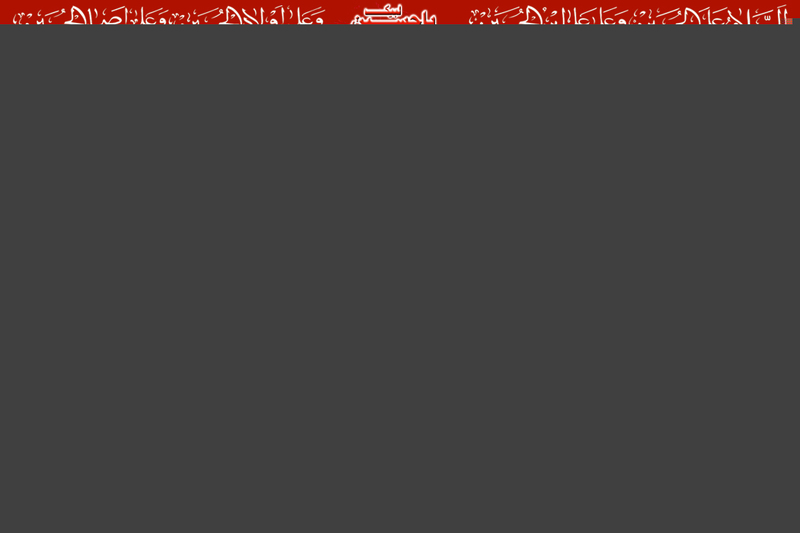 Moro : National Highway Blocked near Moro. 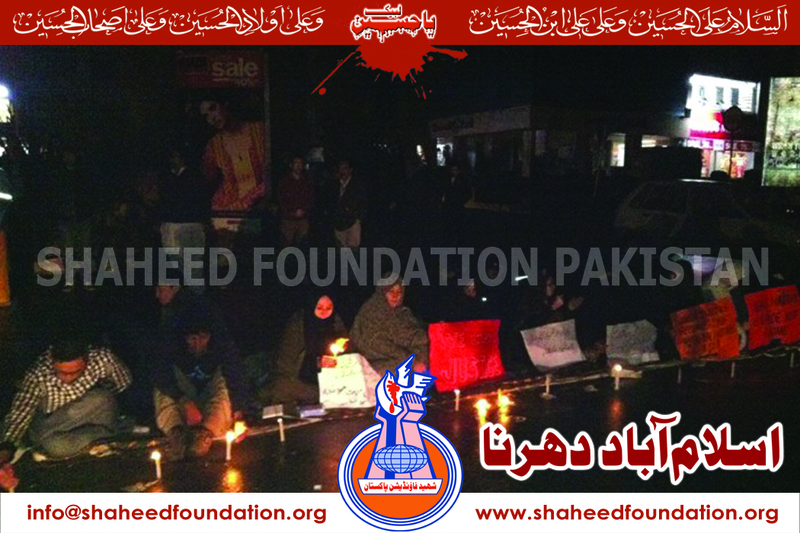 Gilgit : Sit in Continues on Shaheed Captain Zameer Abbas Chowk. 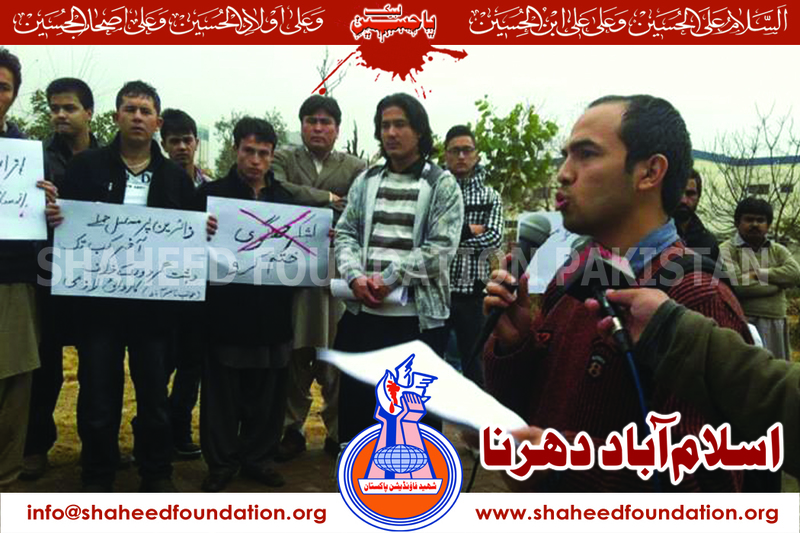 Baltistan : Sit in Continues on Yadgar -e-Shohada Skardu. 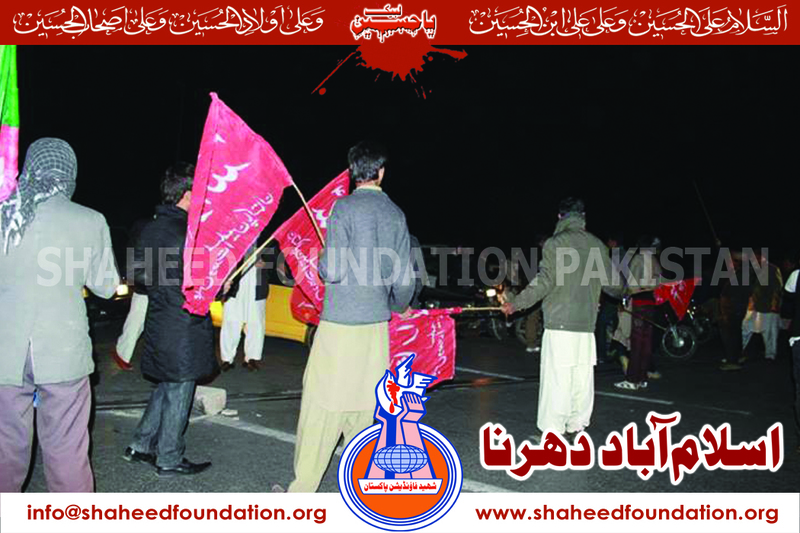 Islamabad : Sit in Continues on Faizabad Interchange. 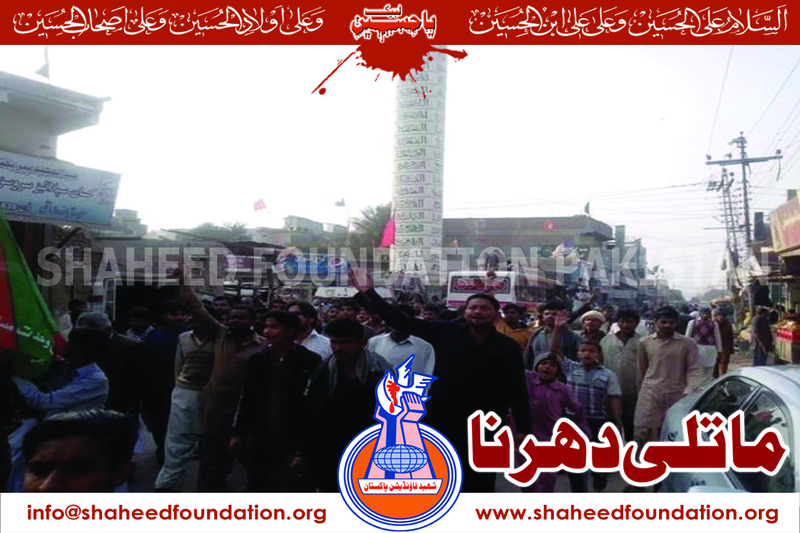 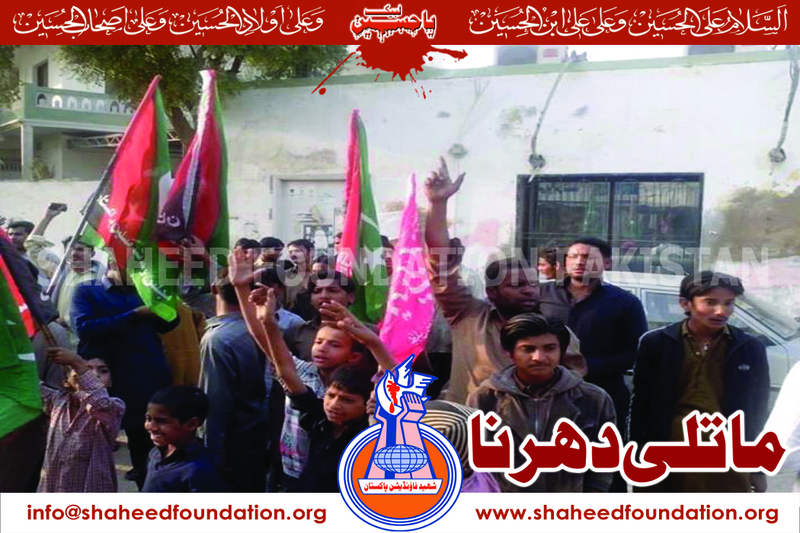 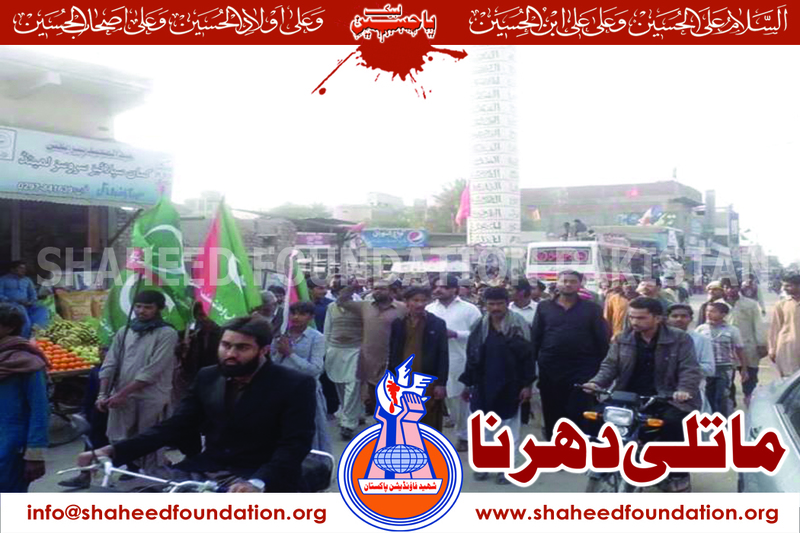 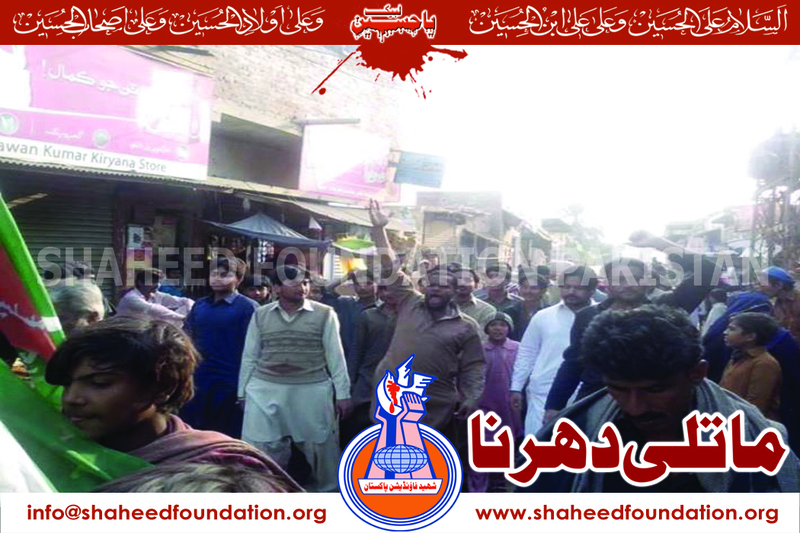 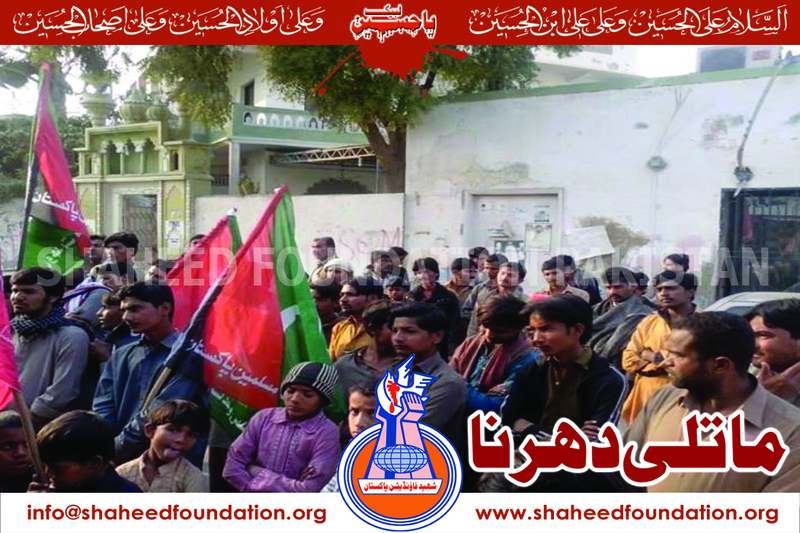 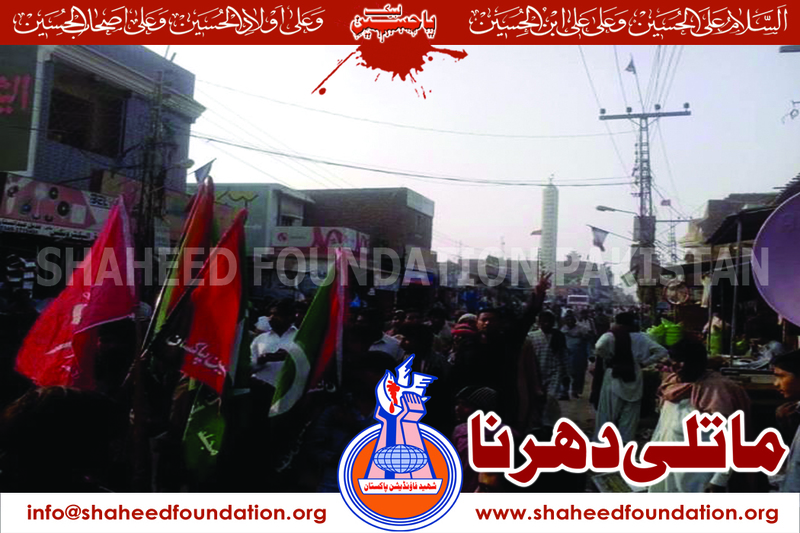 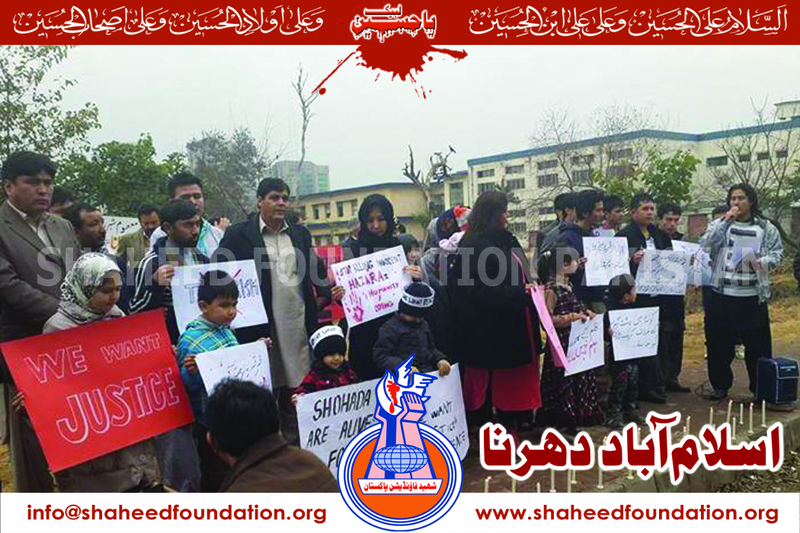 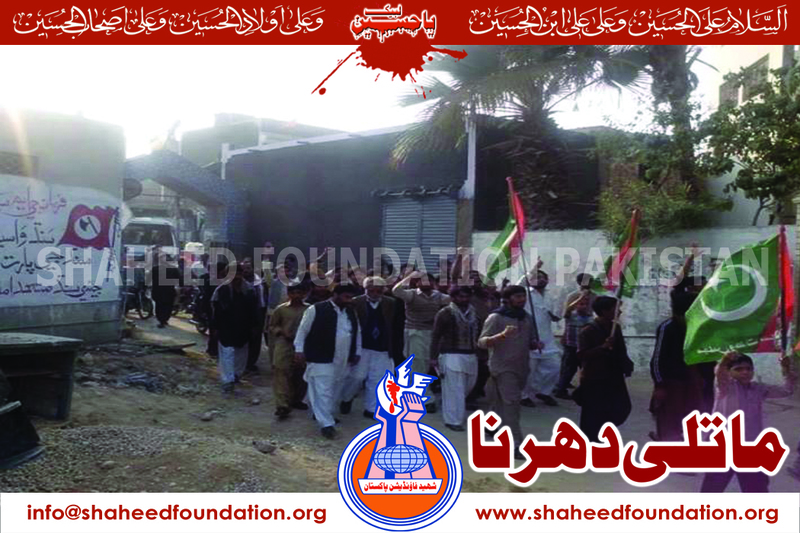 Faisalabad : Sit in Begins to Express Solidarity with Khanwada-e-Shohada. 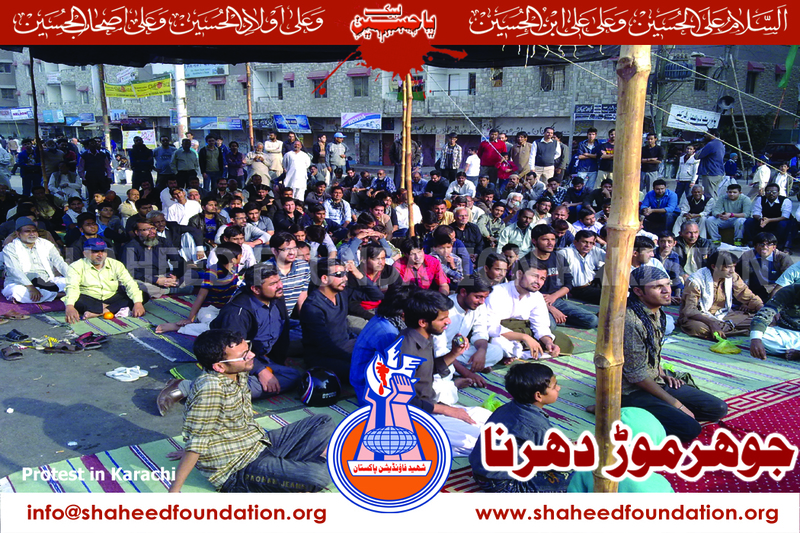 Kandhkot : Sit in Continues for Several Hours.